Among dealers today there’s a debate if cars will be sold online in the future. The classic argument is, “Show me a shopping cart on a dealer’s website.” To that I like to quote the historic wisdom of George Costanza, “It’s not a lie if you believe it.” Barriers exist for online vehicle transactions. However, mastering those barriers represent the largest opportunity for dealers and vendors serving the automotive industry in the last 15 years. 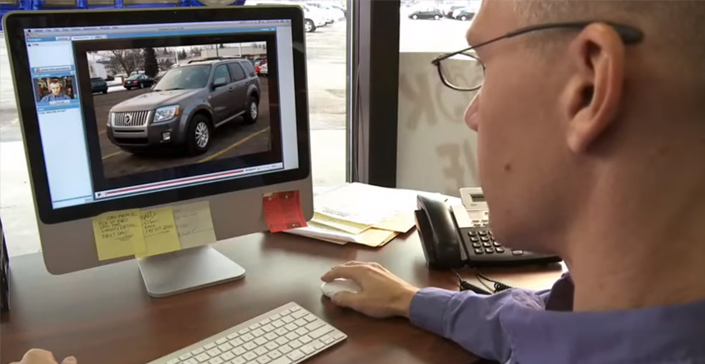 Proof is easy to find that barriers remain for online vehicle transactions. The industry lacks a proven model that has disrupted consumer behavior, regardless of the billions spent. Shop-Click-Drive did not turn into the iTunes of vehicle buying. Neither AutoNation, Sonic or Penske have unveiled a formula that Wall Street rewards with a premium stock valuation. Vendors like TrueCar and Cox Automotive are battling for consumer attention, but have not discovered a differential advantage. Yet start-ups like Carvana, Vroom, Beepi and others have raised close to $1 billion in capital to compete for the online car buying consumer segment. Startups like Make-My-Deal are getting acquired by giants like Cox to position themselves for the apparent tidal wave of consumer demand. Giants like Google, Apple and Berkshire Hathaway are entering the industry. So which lie should a dealership choose to believe? Every dealer understands the importance of digital. For the last 15 years they’ve listened to pundits proclaim the sky is falling with SEO, mobile and social. Dealers have become conditioned to respond with skepticism to vendors. Not unlike consumers who have been conditioned to respond with skepticism to dealers. It’s the great dysfunctional eco-system of the automotive industry, and it’s about to have the intervention of a lifetime. Dealer face challenges both internally and externally across the entire customer journey. Internal challenges, like how to compensate the for an online transaction, is one factor. Externally, vendors who silo solutions and processes complicate the goal of selling online, is another factor. A single technology that a dealer can plug into their website and have it sell cars automatically is a fantasy. Yet dealers are not prepared to do what is required; create a personal, transparent and efficient process for consumers. Why should dealers think about changing anything when we just sold 16 million units this year? Because mastering online transactions today is a bigger opportunity for dealers, than when Japanese franchises became available in the 1960’s and 1970’s. There likely won’t be any new manufactures entering the market anytime soon, so dealers who focus on how consumers buy vehicles are capturing a new segment of buyers for themselves. If 15% of U.S. consumer are willing to buy online today, (likely more) that is a larger segment than Mazda, V.W., BMW and KIA combined. Think about that.